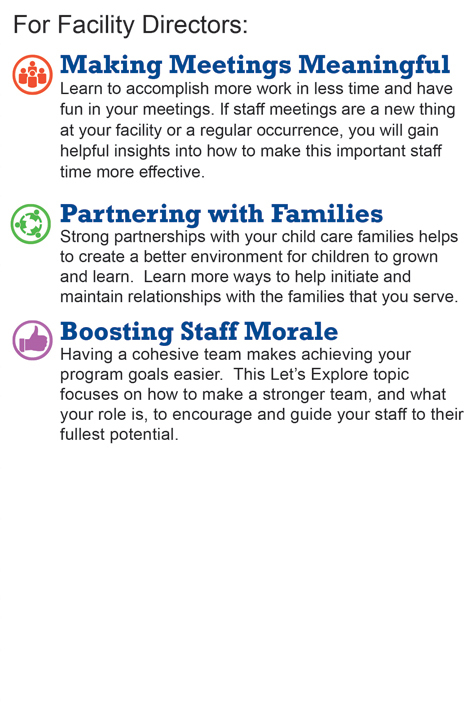 Let's Explore will help you maximize learning during daily activities and routines. No travel required. 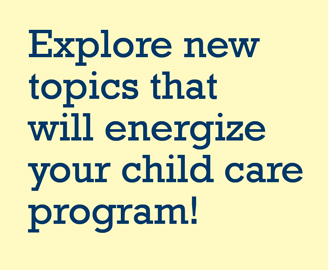 The child care consultants at Child Care Aware® of North Dakota will visit you (over 3 visits) at your location to share tips, provide free materials, and demonstrate ways to incorporate new ideas into your program without shattering your budget. Priority will be given to child care programs who have not recently participated in a Child Care Resource & Referral initiative. Submit an interest application online or by mail to find out more! Select the link under your region to complete an online application. 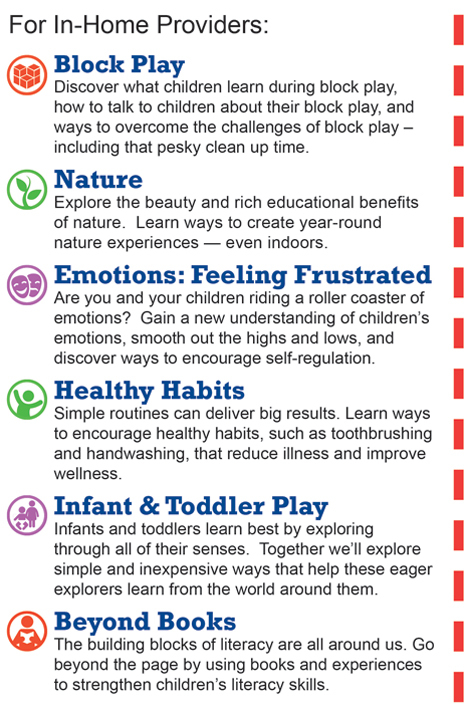 Here are the topics we'll explore.